Comm Eye Health Vol. 10 No. 24 1997 pp 49 - 53. Published online 01 December 1997. Unlike other major blinding disorders such as cataract, trachoma, onchocerciasis or xerophthalmia, where epidemiological studies have contributed significantly to a better understanding of disease patterns, in the case of ocular injuries epidemiological data are scarce or totally lacking for large parts of the world. In fact, eye injuries have been considered a clinical issue, and are mostly addressed within the context of clinical eye care delivery systems including emergency case management. However, like any other eye disorder, eye injuries do not occur as random events: there is evidence that some population groups are at increased risk because of greater exposure to hazards, decreased ability to avoid or detect hazards, and/or a lower likelihood of functional recovery following eye injury. From a public health point of view, it is the epidemiology of injury, not of accidents that is most important. The scientific interest of all these disorders is their potential for producing permanent anatomical or functional complications (e.g., disfigurement, visual impairment). The purpose of this article is to estimate the magnitude of eye injuries and their consequences at the global level, utilising available data both from the Most Developed Countries (MDCs) and Less Developed Countries (LDCs). Risk factors and the pattern of eye injuries will not be discussed in this paper. The present article is based on work carried out in the WHO Programme for the Prevention of Blindness and Deafness as part of the development of the Global Data on Blindness. According to Gibson,1 an injury is damage to a person or to a tissue/organ, e.g., the eye, caused by a transfer of energy, namely one of the five forms of physical energy: mechanical, thermal, chemical, electrical and radiant. Consequently, eye injuries include all damage caused to the eye and its adnexa, orbital and periorbital tissues due to direct contact with fixed or mobile, blunt or sharp objects (mechanical energy being transferred for example by rapid deceleration), hot objects (thermal), chemical substances, sources of electrical power, different types of radiation (UV, X-ray, microwave). A primary source of information is found in the existing ophthalmic literature. Garrow2 reported 1000 consecutive cases of eye injury registered in Scotland between 1908-1913, however, from this date, publications of reliable epidemiological data remain relatively scarce in the ophthalmic literature. Much of the information available is essentially descriptive, and mainly based on hospital data, i.e., without clear reference to a defined population. Most published studies are based on data provided by outpatient departments, hospital admission/discharge forms, or emergency departments. Another source of information is the WHO Programme for the Prevention of Blindness (PBL) which has carried out or supported a number of population-based, cross-sectional random sample surveys on blindness and its causes (including eye trauma) in several countries (Table 1). In most parts of the world it is impossible, through a literature review, to assess the epidemiological parameters (incidence or prevalence) of eye injuries. Generally, it is possible to approach this issue through indirect indicators such as the share (as proportion/percentage) of eye injuries in the total workload of a specific health care centre. The incidence of eye injuries restricting activities or requiring a ‘contact’ with an eye care centre during a defined period of time, or through the prevalence of binocular or monocular visual loss due to eye injuries, can be recorded. Analysis of this type of data3 confirms that eye injuries represent a very common cause of presentation and admission at health centres, although the figures vary largely from one study to another: 10% to 27% of all cases examined in outpatient departments; 38% to 65% of all the cases seen in emergency departments, and 5% to 16% of all admissions in eye hospitals are related to eye injuries. As a proportion of all hospital admissions for ocular disorders, eye injuries are becoming relatively more important, in part as a result of the recent shift of many ophthalmic procedures, such as outpatient cataract surgery, to outpatient settings. * Blindness is defined as vision <3/60. Low vision is defined as vision <6/18 but ³3/60. ** Includes monocular blindness and monocular low vision. The incidence of ‘acute hospital-treated eye injury’ can vary dramatically in a relatively short time. In recent years, for example, the development of the chemical industry in rapidly industrialising countries has resulted in higher incidences of injuries caused by chemicals. On the other hand, the introduction of effective preventive measures, such as the required use of car seat belts or protective eye-wear in amateur ice hockey, has resulted in an impressive reduction of severe eye injuries necessitating hospitalisation. Unfortunately, reliable estimates of incidence in developing countries are not available. Prevalence is routinely used to measure the total number of existing cases found in a defined population at one point in time. Considering that the majority of eye injuries are clinically insignificant or mild, or remain without complications, and are of short duration, relatively very few cases of eye injury are found during cross-sectional surveys which provide population-based information. (i) The Baltimore Eye Survey3 in the USA examined the cumulative lifetime prevalence of ocular injuries that included the spectrum of mild, visually non-threatening to severe blinding injuries in a multiracial urban population, aged 40 and over. In this study, at least one injury in a lifetime was reported by 22.5% of black men, 20.3% of white men, 12.2% of black women and 7.7% of white women. (ii) The Nepal Eye Study6 provided a prevalence estimate for the whole population. Among the 39 887 persons examined in the survey, 336 were found to have signs and history of previous eye injury. Prevalence was estimated at 860/100 000 population. There was a marked increase in prevalence with increasing age. Prevalence rose from 340/100 000 for persons under age 10, to 1780/100 000 for persons aged from 55 to 59. This study also demonstrated that 62% of injured persons had signs of eye injury but no visual impairment, 27% were unilaterally blind or severely visually impaired, 8% were bilaterally visually impaired and 3% were blind. Visual impairment and blindness are most often the result of complications from eye injury (such as secondary infections or sympathetic ophthalmia), but blindness may also be due to the immediate severity of the injury itself. These indicators have been weighted and then incorporated in the model proposed below in an attempt to assess the approximate global magnitude and severity of eye morbidity due to eye injury. It is clear that the information available is very scarce, and direct comparisons between studies remain difficult. Therefore, the development of a model to assess the global magnitude of eye injuries, becomes a very uncertain exercise. (ii) For LDCs, no such information on ‘incidence’ could be found. (iii) The first step in the model should be to separate these two broad groups of countries (MDCs and LDCs). The model (as used in Table 2) assumes that the epidemiological patterns for eye injuries are similar in countries within a given group. An estimated global incidence for open-eye injuries of 3.5/100 000 population which indicates more than 200 000 such cases per year. The amount of blindness due to eye injuries in the world has never been accurately estimated. The last update of the Global Data on Blindness stated that ‘other causes to consider include ocular trauma, estimated to be responsible for about 500 000 cases of blindness’ In 1992, Thylefors8 reported that, in developing countries, ocular trauma represents about 5% of all blindness cases. These estimated figures suggest that eye injuries represent a major public health problem It is also true that they represent more ‘the cause of a blind eye rather than the cause of a blind person’. 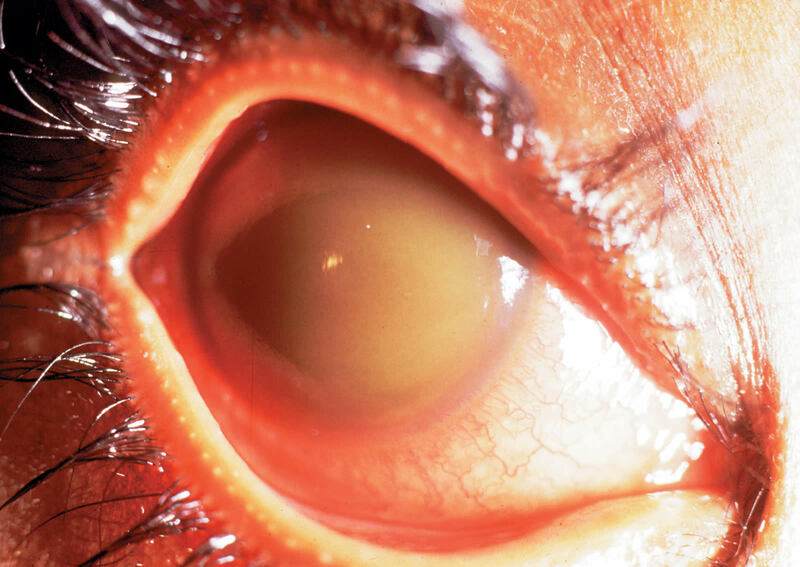 Nevertheless, uniocular injuries may be very disabling, and occur most frequently in the active years of life, and consequently the vocational and economic consequences are enormous. In developing countries, eye injuries are not only more common but also more severe in their effects. Since eye injuries are related to particular occupations or cultural environments, the type and prognosis of injuries seen in developing countries are not similar to those in industrialised countries. 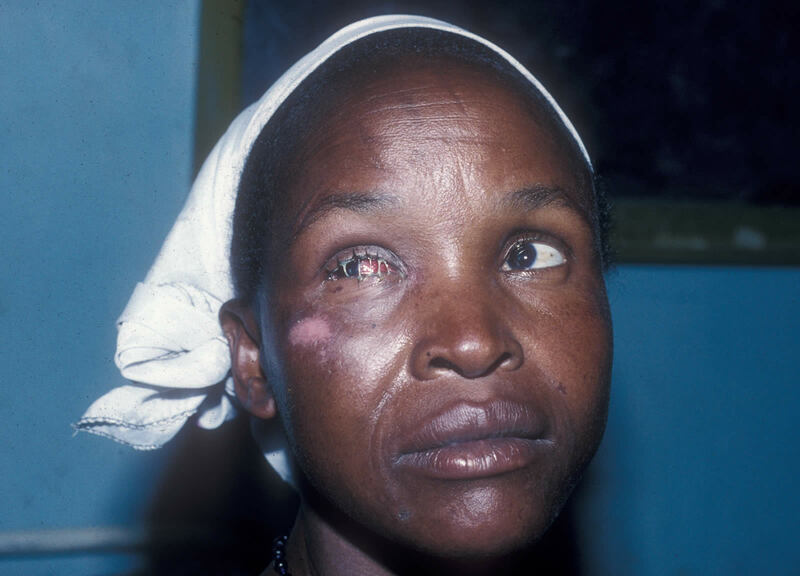 In Africa, and in many parts of Asia, eye injuries present their own patterns, not only in terms of aetiology or severity, but also in relation to the socioeconomic background, reflecting the non-existence or inadequacy of safety measures, the lack of proper eye health facilities to provide adequate case management, the use of traditional medicines, poor education, and a lack of awareness amongst manual workers in hazardous occupations. The prognosis of the initial lesions is commonly made worse by delay before proper management, or by the administration of inappropriate home medication. 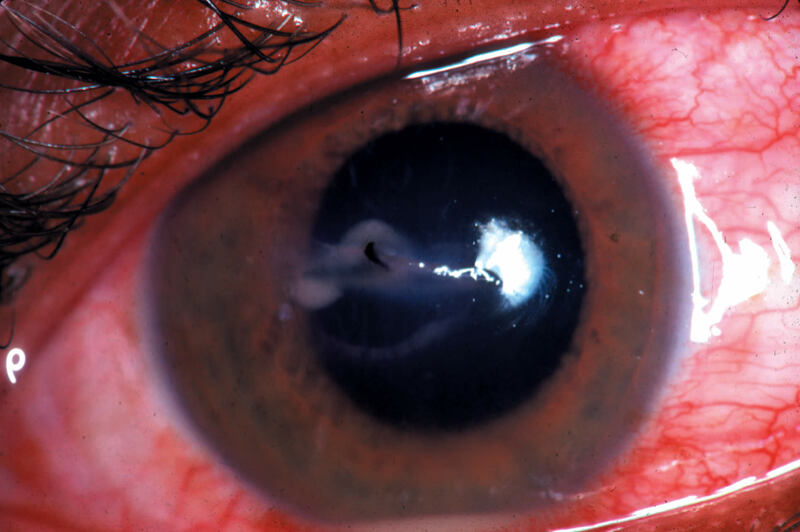 In fact, five major factors are linked to the final outcome for the injured eye: (i) the severity of the initial lesion (especially in the case of an open-eye injury), (ii) the first aid treatment provided, (iii) the time elapsed from injury to definitive care, (iv) the quality of care, (v) the pre-existing eye health status (e.g., myopia, wear of contact lenses). Considering the scarcity of available data, and inconsistency in the way these are reported, there have been some assumptions made in the use of the algorithm which need further validation. Based on the model presented, estimates of the incidence of eye injuries and related visual impairment and blindness prevalences significantly exceed those previously published. There is an urgent need for more consistent recording of eye injury events and their consequences, to provide more accurate data for planning eye care services. In addition, such data would also provide better understanding of the changing patterns of eye injuries in different parts of the world. The author wishes to express thanks to Dr Pararajasegaram and Dr Thylefors for their assistance in reviewing this manuscript. 1 Gibson JJ. The contribution of experimental psychology to the formulation of safety: a brief basic research. In: Behavioural approaches to accident research. New York, Association for the Aid of Crippled Children, 1961. 2 Garrow A. A statistical inquiry of 1000 cases of eye injuries. Br J Ophthalmol 1923; 7: 65-80. 3 Négrel AD, Thylefors B. The Global Impact of Eye Injuries. Ophthalmic Epidemiology. (54 bibliographic references). In press. 4 Desai P, MacEwen CJ, Baines P, Minassian DC. Incidence of cases of ocular trauma admitted to hospital and incidence of blinding outcome. Br J Ophthalmol 1996; 80: 592-6. 5 Katz J, Tielsch JM. Lifetime prevalence of ocular injuries from the Baltimore eye survey. Arch Ophthalmol 1993; 111: 1564-8. 6 Trauma in the epidemiology of blindness in Nepal. In: Brilliant GE, eds. Report of the 1981 Nepal Blindness Survey. San Rafael, CA. The SEVA Foundation, 1988. 7 National Society to Prevent Blindness (1980). Vision problems in the US. Facts and figures. 8 Thylefors B. Epidemiological patterns of ocular trauma. Aust NZ J Ophthalmol 1992; 20(2): 95-8.